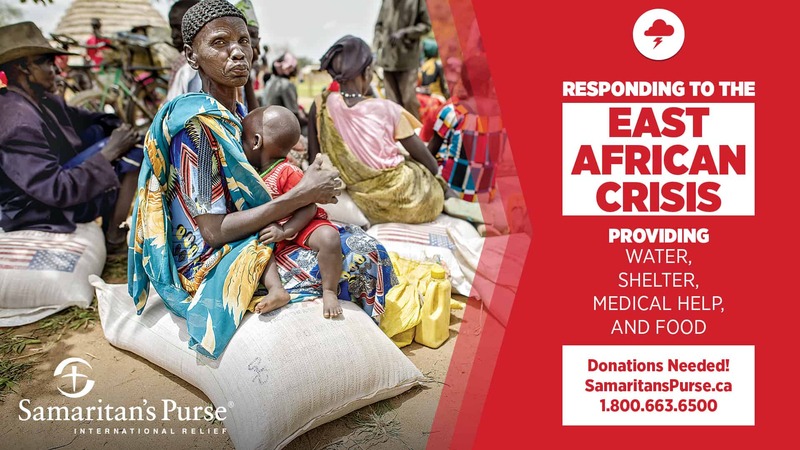 Samaritan’s Purse is providing much-needed assistance in East Africa and is continuing to meet urgent needs as a food and refugee crisis is anticipated to impact millions of lives. 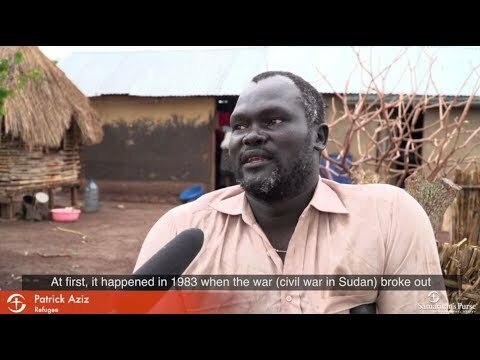 As of the end of May 2017, Africa’s refugee crisis is growing rapidly as a civil war and famine in South Sudan have forced more than 1.8 million people so far to flee the country. 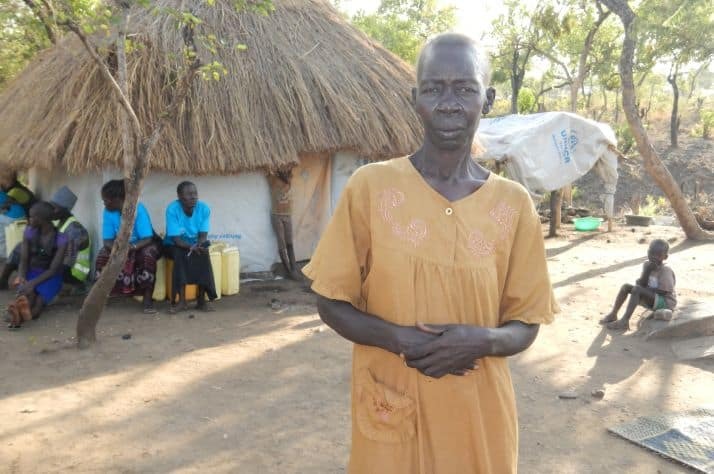 2 million people have been forced to leave their homes, but remain inside South Sudan. 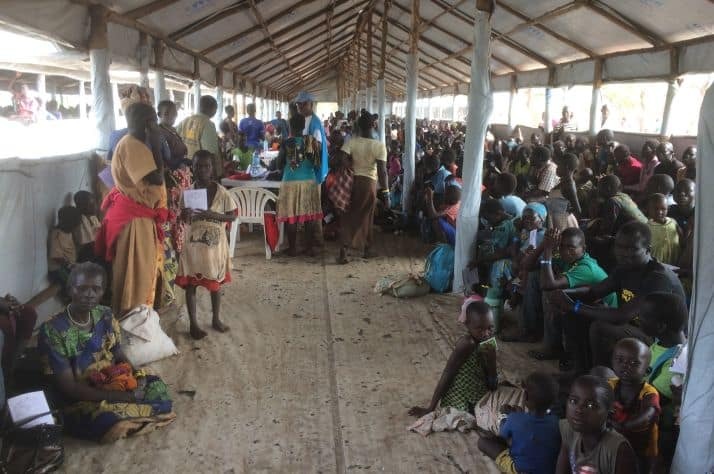 Over 900,000 are now in Uganda, and about 1,700 more are arriving every day. Uganda’s Bidibidi Refugee Settlement is one of the largest in the world, housing just over 272,000 people from South Sudan. The nearby Imvepi Refugee Settlement has another 90,000. 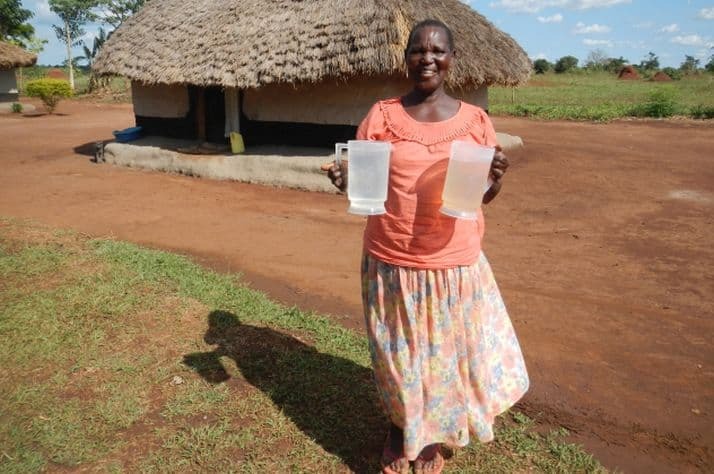 Samaritan’s Purse is busy in both settlements. We’re drilling deep borehole water wells, building communal and household latrines, and providing seeds and agriculture tools. 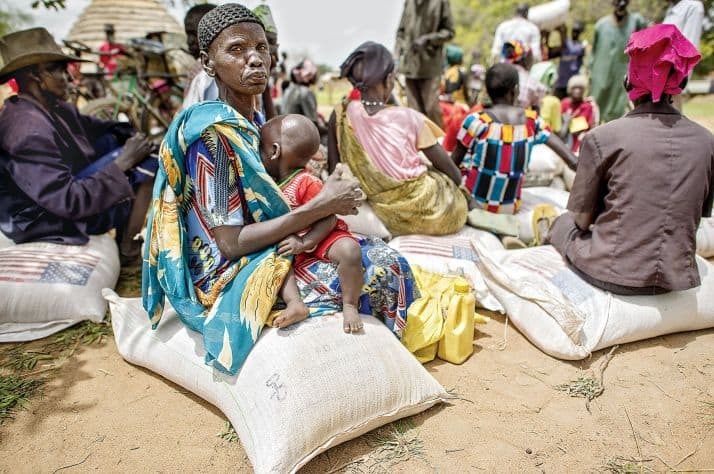 With a worsening drought in Kenya, millions struggling with food security in Ethiopia as well as the surrounding East African countries and so many on the move amidst violence and famine, a devastating loss of lives is anticipated without intervention. 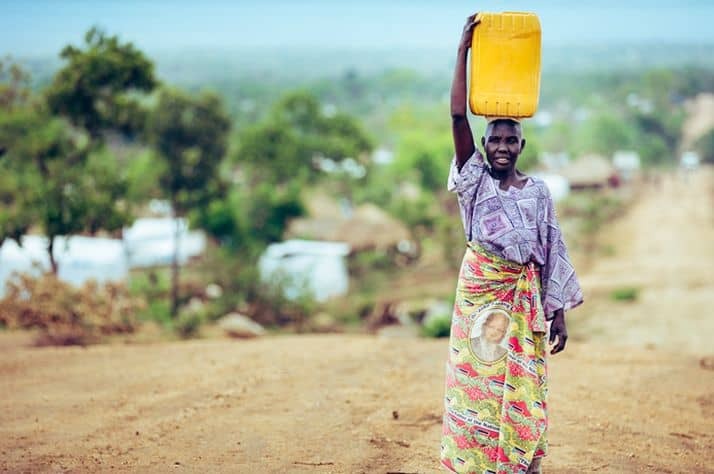 The millions in crisis need food, clean water and sanitation and a means to provide for their families in order to survive and to become self-sufficient. Your financial support and prayers are urgently needed for us to continue ministering in Jesus’ Name to those suffering through these trials in East Africa as we seek to provide life-saving assistance, a future and hope. 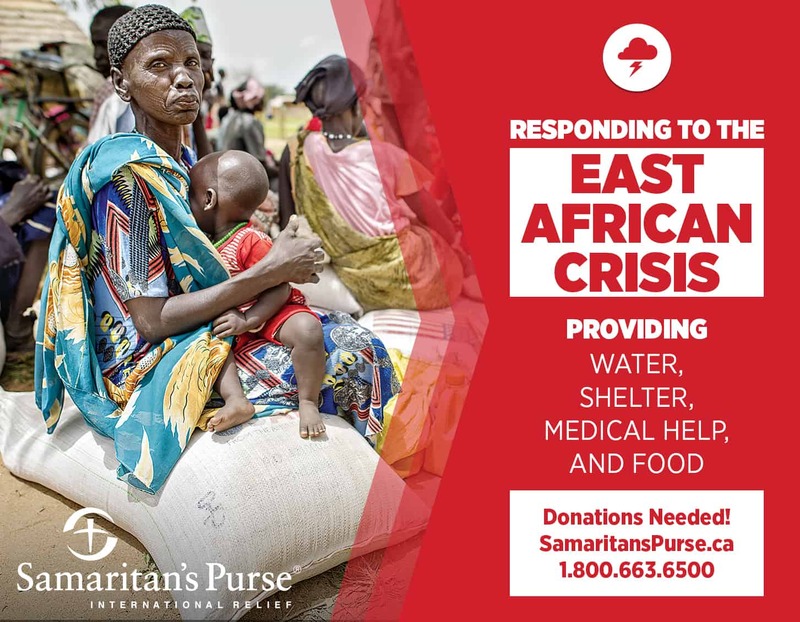 East Africa Crisis ReliefSamaritan’s Purse is responding to the crisis in East Africa caused by severe famine, drought, and conflict. We provide food, shelter, safe water, medical care, and other aid. Your gift will help us bring critical resources to the those affected in the name of Jesus Christ.